& Dominic Dromgoole, Artistic Director, Shakespeare’s Globe. 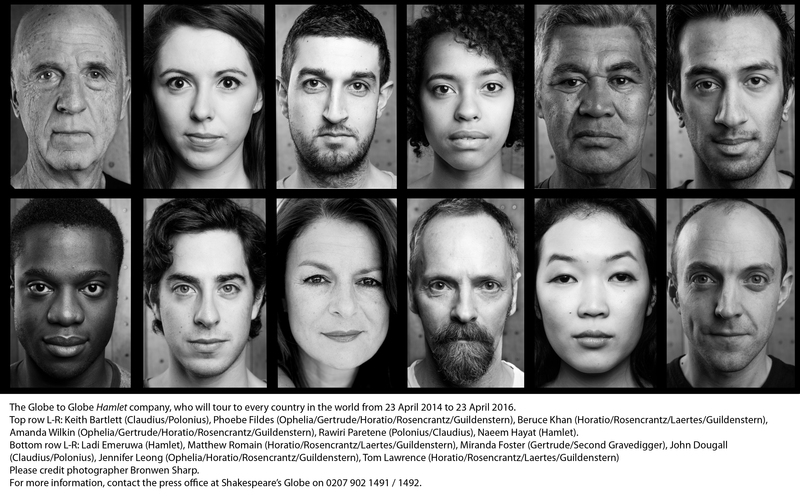 A New View of Shakespeare: One of the powerful new ‘movements’ in the Shakespeare world is an emphatically multi-cultural embrace of the plays, encouraging dialog about culture, gender, race, manhood, domestic violence and much more – all across borders of geography, religion and class. For instance, Shakespeare is being used in prisons to initiate profound conversations about forgiveness and redemption. And theater groups all over the world, including the poorest countries in Africa and Asia are bringing new life to Shakespeare’s work. One important service we will provide is an archive of digital Shakespeare media – movies, videos, books, articles, interviews, images. This will allow us to create curated access to vast archives of material. And it will serve as a one-stop hub to connect people to the great Shakespeare institutions, to provide resources for classrooms, artists, scholars and to build new communities. This media archive will take some time to assemble, but with the help of Shakespeare’s Globe, Oregon Shakespeare Festival and other major players in the world of Shakespeare, we are confident that this will become an important resource. The concept behind Shakespeare Central is relatively simple – but we believe, necessary, revolutionary and of great impact to the world of Shakespeare theaters and Shakespeare education. The current access to media is disorganized and not well curated. Shakespeare Central will solve this problem and will become the go-to site for all things Shakespeare for decades to come. For teachers and students, the main benefits will come from our Digital Archive. This archive will be an ever-growing collection of digital materials that we will make available to students, some for free, some for small fees. The exciting part is that these materials will be curated and distributed from one central location – no more hunting around the internet – and packaged in bundles tailored easily for your individual teaching needs! From now on, books, movies, live theater videos, images, articles – can all be combined into custom collections for syllabi and classrooms. Background: Shakespeare Central is created by two-time Peabody Award winning documentary producer and oral historian, Steve Rowland, MBA, Executive Director of CultureWorks, and Dominic Dromgoole, Artistic Director of Shakespeare’s Globe Theater in London. Shakespeare Central also has the support of several major institutions and individuals in the Shakespeare world, including: Bill Rauch, Artistic Director of The Oregon Shakespeare Festival, Anita Gaffney of The Stratford Ontario Shakespeare Festival, The Bloomsbury Publishing Group and the Arden Shakespeare.